It is a little amusing now, but I think the front cover is going to change again. 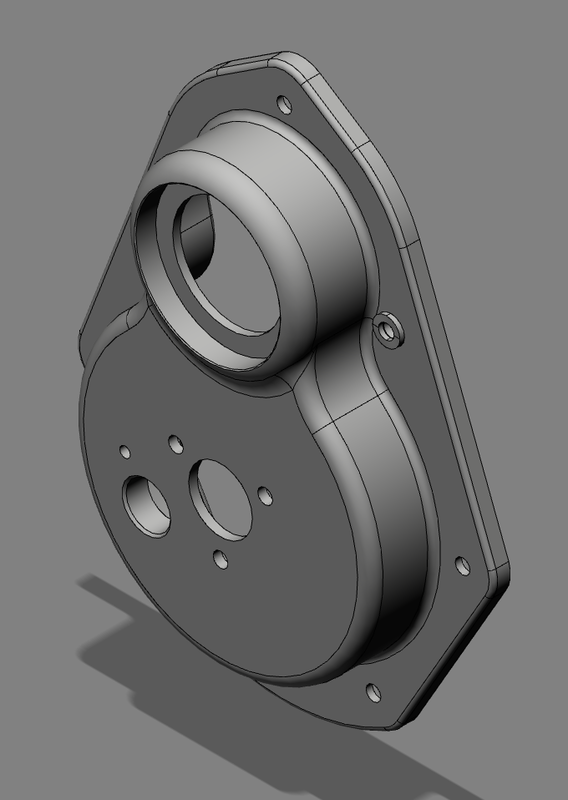 I have instructed the 3D modeller to just mark the centres for the sensors, and I will pick up off these with the milling machine and customise the cover to suit the sensors I am using. I am struggling to identify the functions of the pinouts for the E46 BMW Hall effect sensor. I now know they are Hall Effect and not eddy current, variable reluctance sensors or whatever you want to call them, as they have magnetic tips. Thank you Jean Paul. I really feel like the village idiot with this one, because when I correctly dientify the pins, based on their resistances, the sensor still fails to acknowledge any metal or a magnetic with a reference voltage. If I use a stock two pin or three pin shielded VR sensor, I have no issues whatsoever, and as my motorcycle use these reliably, I am thinking of sticking with these. The favourite at the moment is the crank sensor from the Peugeot 405 & 406, so I am going to redraw and reformat the timing cover to suit this. I can still open the holes up and modify it for a Hall effect sensor, aka BMW E46, if I need to later. 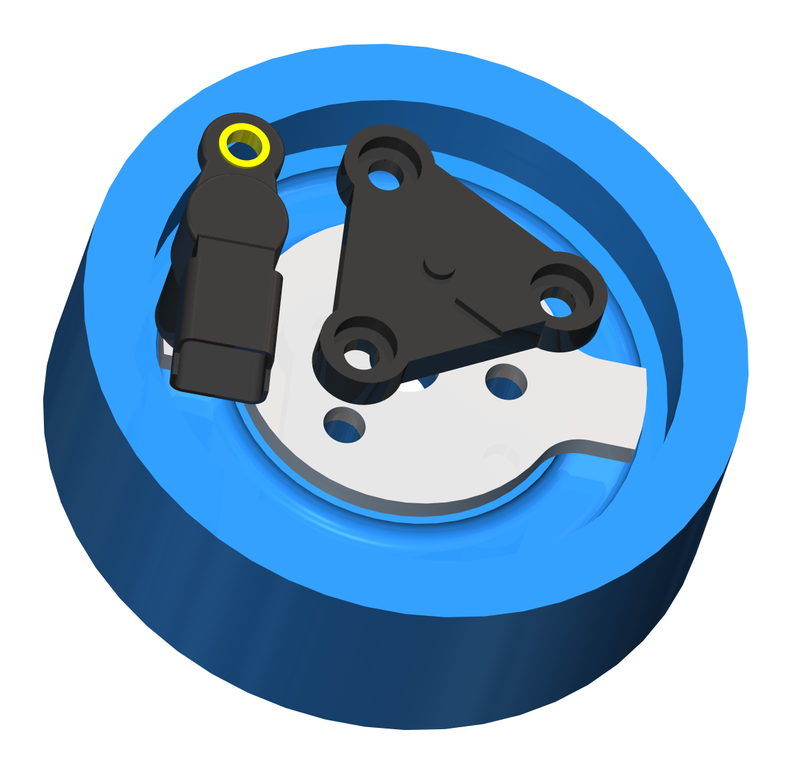 The idea at the moment, because Brian’s engine is driving this, I will fit an aluminium disc with recessed centre & a single Samarium Cobalt (SmCo26) magnet to create the trigger for my ignition nit. It has been mentioned in emails that the magnet will attract iron filings, but personally I think this is a good thing. If the engine develops a misfire, because it has iron filings over the sensor, then you really should be looking at the problem in more detail, not driving it along doing more damage. 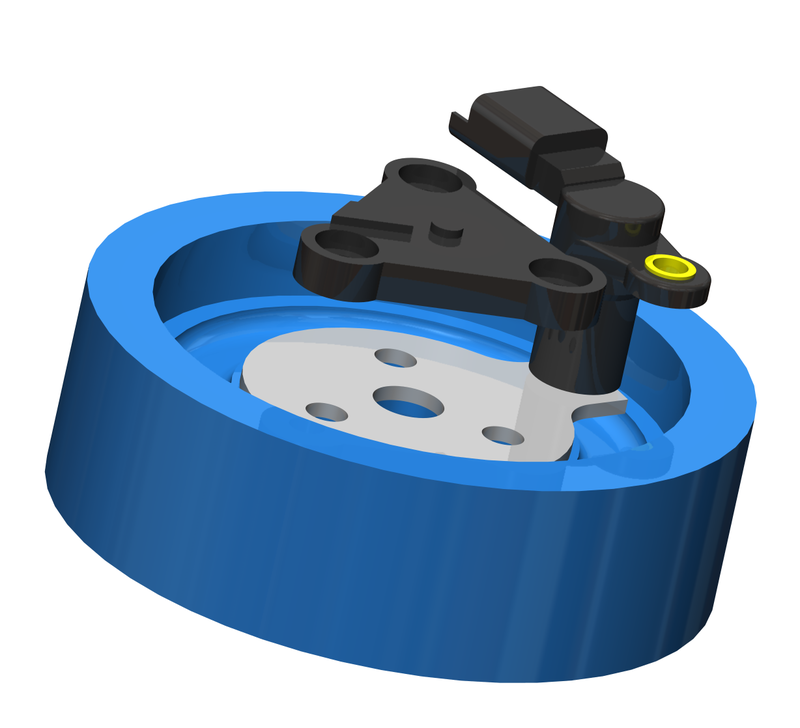 One of the advantages of using a magnetic disc is the air gap can be opened up, and the cranking voltage is greater. I need a minimum of 1V p-p AC to trigger, and I can comfortable attain this with a 2mm air gap. If I decide to go down the EFI route (which I am doing) I can use a MicroSquirt or other unit using this same sensor design, but incorporating a different trigger wheel as shown below. For me this offers the most flexibility for the end user, and also allows for a kit approach to be developed. I can see somebody realistically adding this component to their car over the winter break for example, and wiring up their desired ignition set up too. Today, I got a shock when I tried to get the connectors for the Renault Laguna, Megane & Clio generic camshaft sensor, I cannot source them new at the moment. 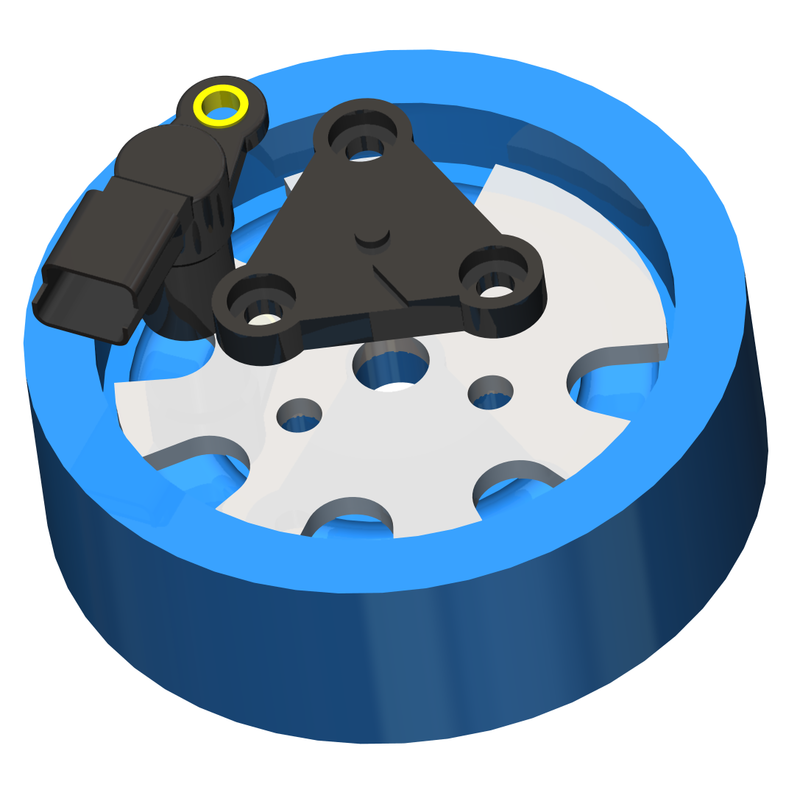 I have ordered the loom adaptor from Renault at the ghastly price of £23+VAT, because I need to test the trigger wheel prototypes to establish the best shape for reliable sensing. 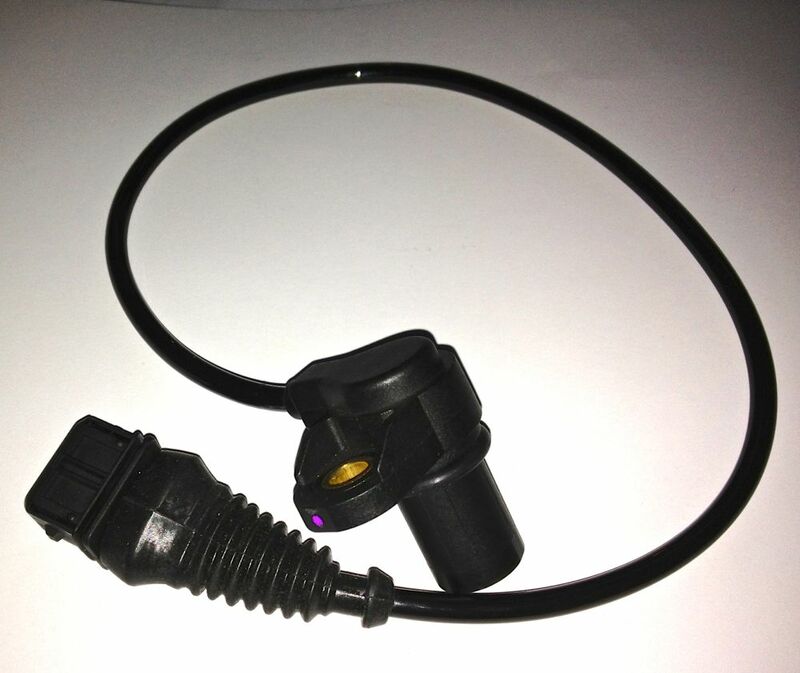 Anyway, after sourcing some new bits in China, and looking over RS & Mouser in the UK, plus searching all the automotive connector sources I knew about and then some more, I decided to sack the Renault sensor, and make do with a BMW one instead. This takes Junior Timer connectors, which don’t need an exotic crimping tool, and it’s the same connector I’d be using on a coil pack and MAP sensor on Brian’s engine, so here’s the revised version, with one hole for the wasted spark triggering system, and another partly machined for the twin plug sequential set up. I have not broken through the front face for the second sensor, but all the mating surfaces are machine, so I just need to drill a hole in the middle, when it’s time to fit the second sensor. They are all 180º apart, so they should be no odd firing intervals! 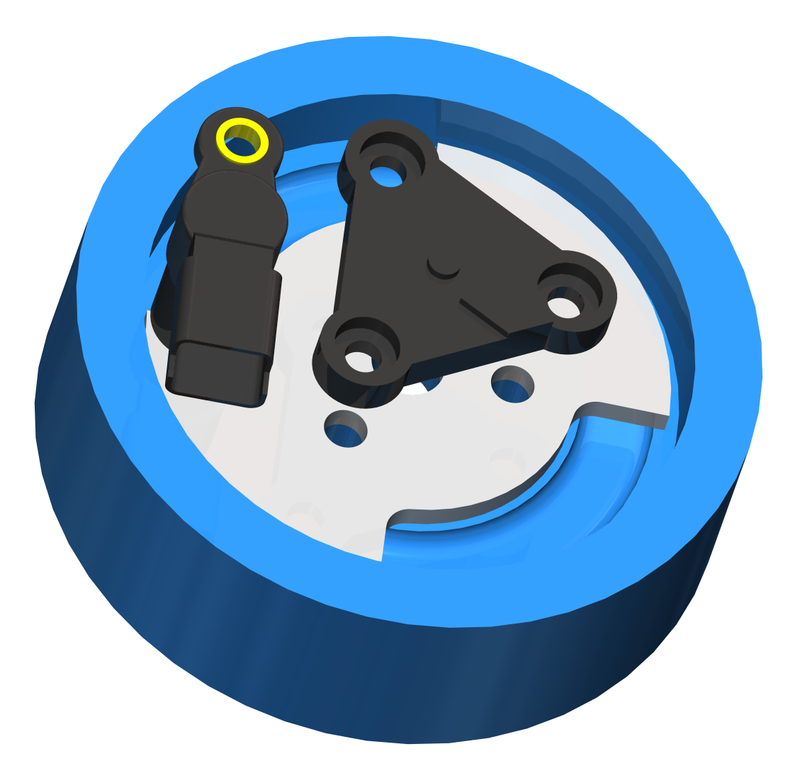 I have had to revise the front cover design to allow for the ignition variants, as one of the programmable ignitions needs two triggers to work sequentially, which will be useful for twin spark plug heads in the big bore engine. I will have to post work the covers to suit, but all the sealing surfaces will be in place, as well as the reference holes for mounting the sensors. This engine will need better ignition control than the existing models, and with this in mind, I have decided to revise my triggering arrangements to suit the MicroSquirt and other aftermarket ECUs I want to use. 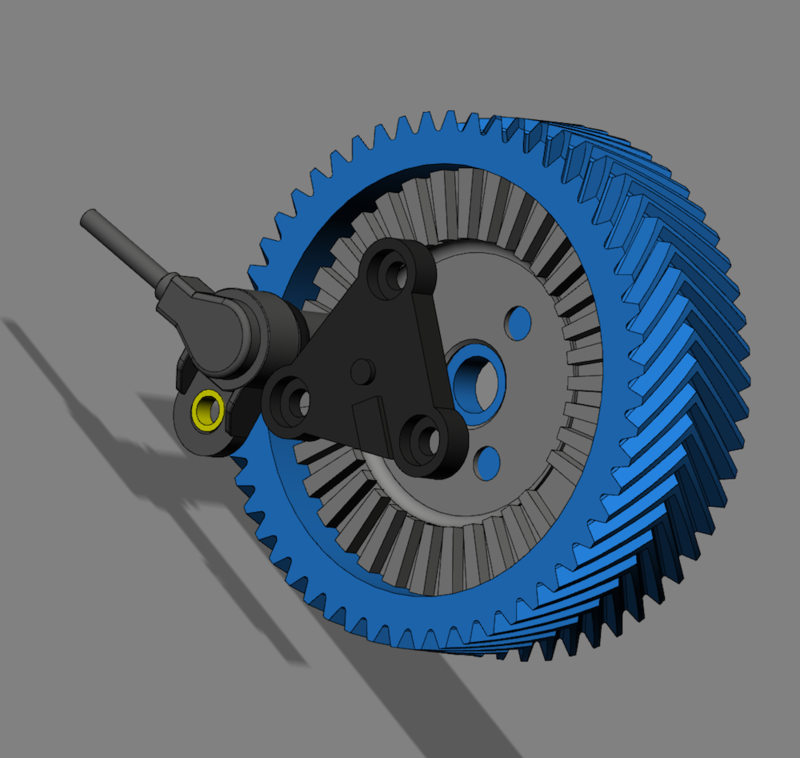 This will need a flexible triggering system, and I have opted to use an internal triggering arrangement, which is only possible with the revised timing gear front cover.. A few trigger wheel variants are shown below. 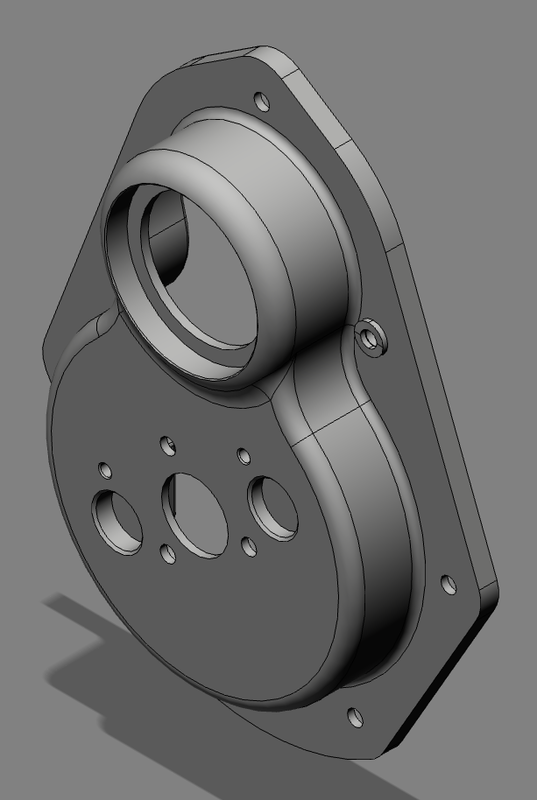 I will be using a single or dual tooth trigger for Brian’s engine, and last image shows a MicroSquirt compatible missing trigger wheel configuration. These are visual space models to check clearances, so the timing cover is removed for clarity. 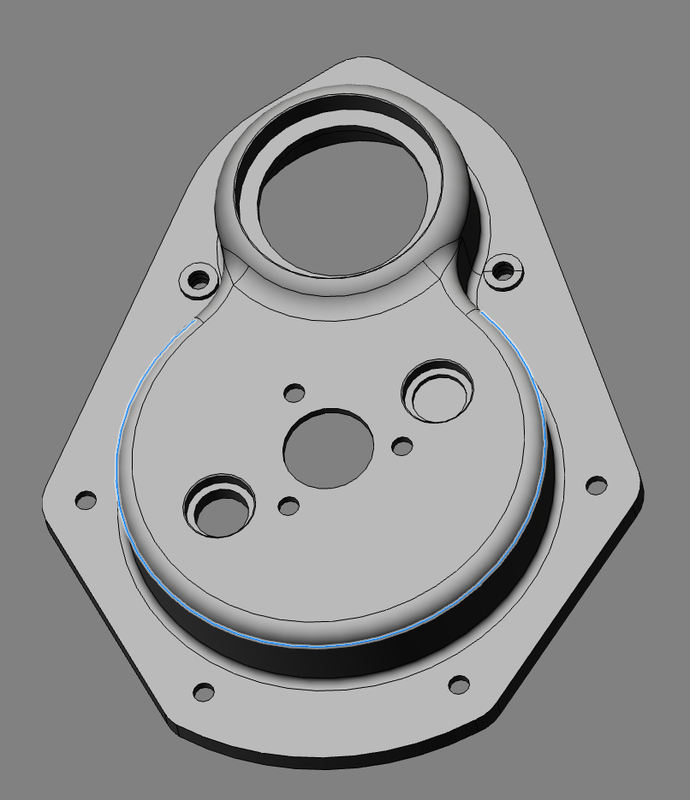 This is a placeholder for some parallel developments that will be used in Brian’s engine, but ultimately these are for the next generation Panhard engine enhancements, the big bore variants. 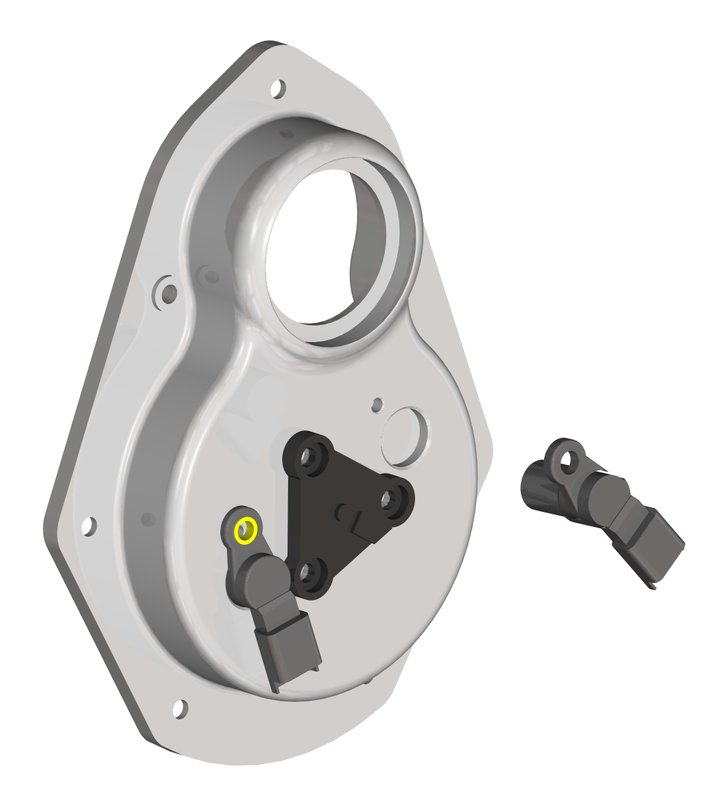 The capacity of the development model will be 1040 cm3, but thereafter the engine size will increase to 1130 cm3, however this is dependant on acquiring a suitable piston forging. 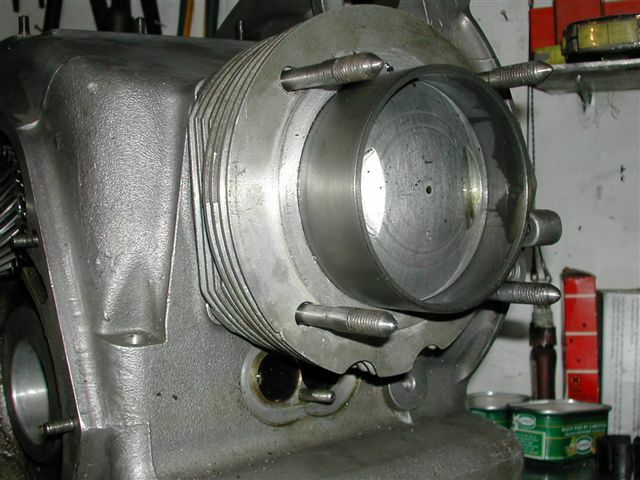 The standard crankcase will have to be machined, as will the cylinders, but the liners will be completely new. I can go even larger, but for now I am looking at refining the combustion processes first, and improving the power delivery, rather than going all out at once. Panhard engines have a long history of being over bored, so none of this is new. Historically the most common overbore was a 954 cubic centimetre variant, but the Le Mans derived racers tried all different sizes, as these photographs show. 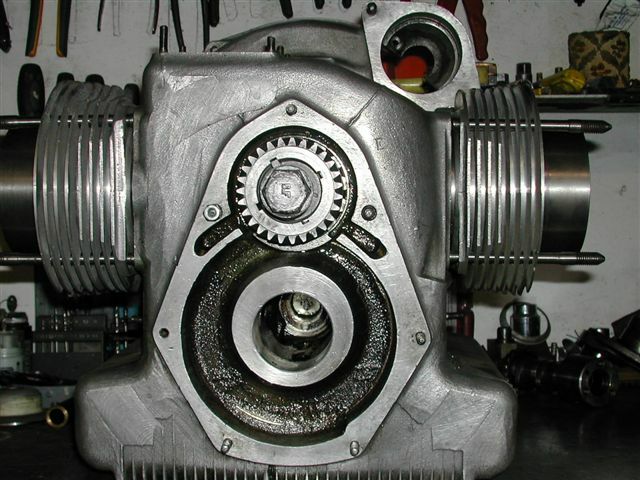 The big bore engine will also need the latest oil revision modifications, which essentially balance the main bearing crankshaft oil feeds, reduce the lubrication to the timing gears, yet still increase the flow rate from the standard pump, which is more than up to the task. The biggest single improvement, after better filtration, is to add more oil capacity, so this too will be revised. It goes without saying, you will need a good crankshaft, too, and additionally the standard ignition and breather will be replaced with a better system, more able to cope with the new engine capacity. 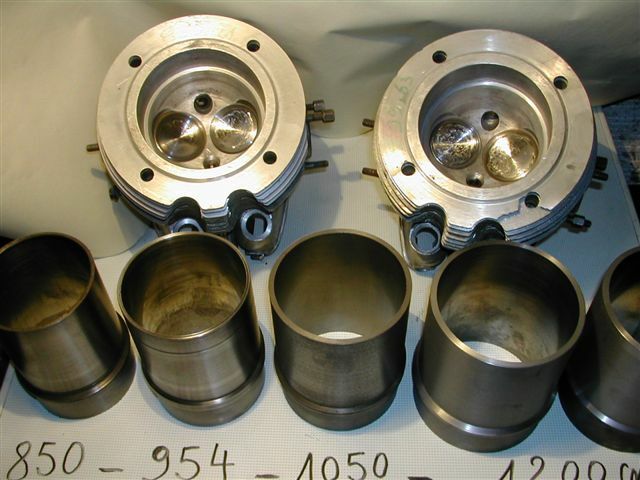 The big bore engine parts enquiry has already been started, and as expected, there will be new lighter weight pistons, with new cylinder liners and quite a few esoteric mods for those that want them. 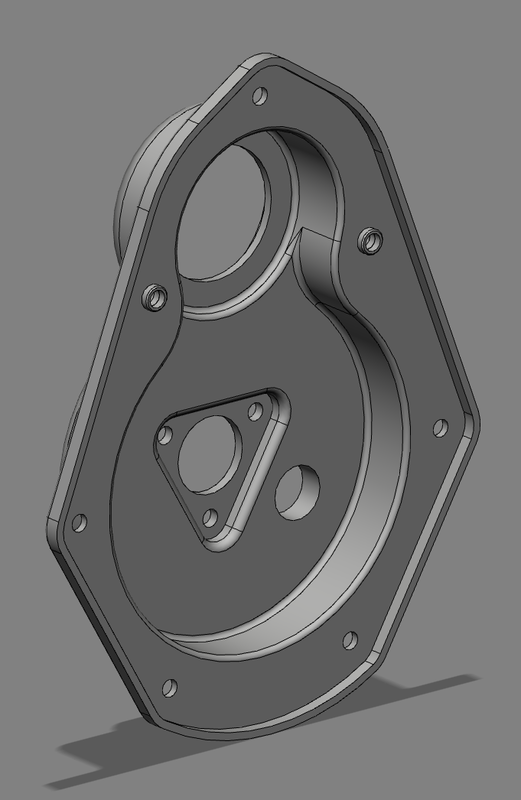 First up is this skunkworks timing cover design. 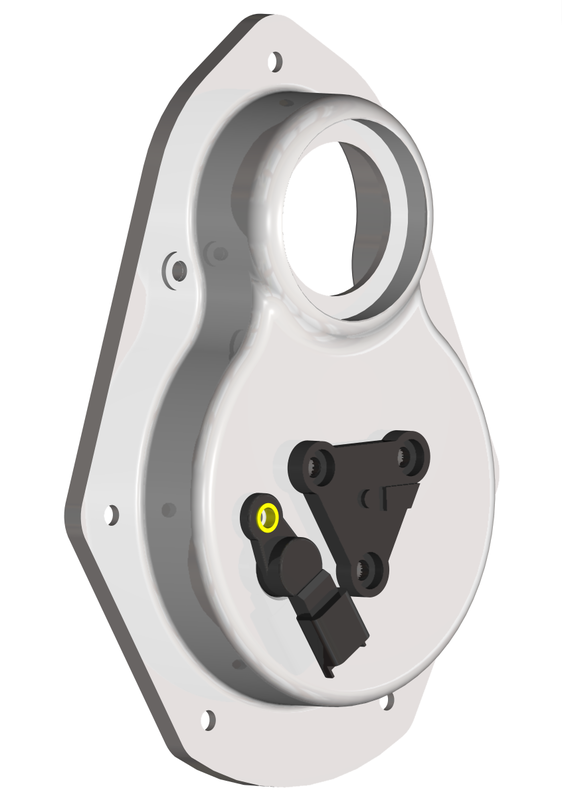 This will be machined from solid aluminium billet, incorporate a Viton oil seal, whose Ø68 mm OD caters for various IDs, from Ø55 to Ø35mm with the option to allow for a Hall effect electronic ignition sensor to be fitted, which will expand the ignition options, and offer more specialised fuelling in the future. I have already made enquiries about getting a cover made for Brian’s engine, with a limited run thereafter. 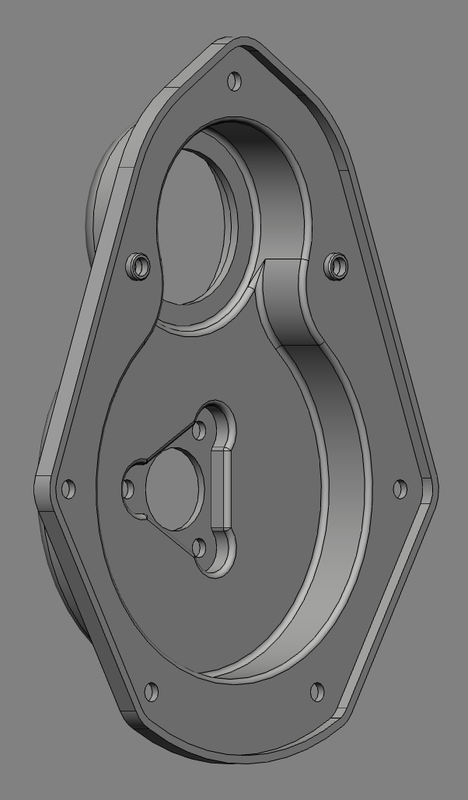 I anticipate making six big bore engines, as twelve pistons is the minimum order quantity, so it makes sense to have some spare timing gear covers too. If you are interested, do get in touch, because these will be limited quantity items.